Los Angeles Funders’ Collaborative: I’m coordinating a group of funders working for a healthy, equitable and sustainable Los Angeles County. With the passage of Measures M, A and R ($160+ billion slated for transportation and parks improvements) and SB 375 (supporting local sustainability planning to reduce greenhouse gas emissions), now is the time to ensure these investments lead to positive change. Southern California Grantmakers: I’m supporting the development of their Environmental Funders Group and planning quarterly convenings to build the community of environmental grantmakers in Southern California with conversations on issues like air quality, water, land conservation, energy and climate change. 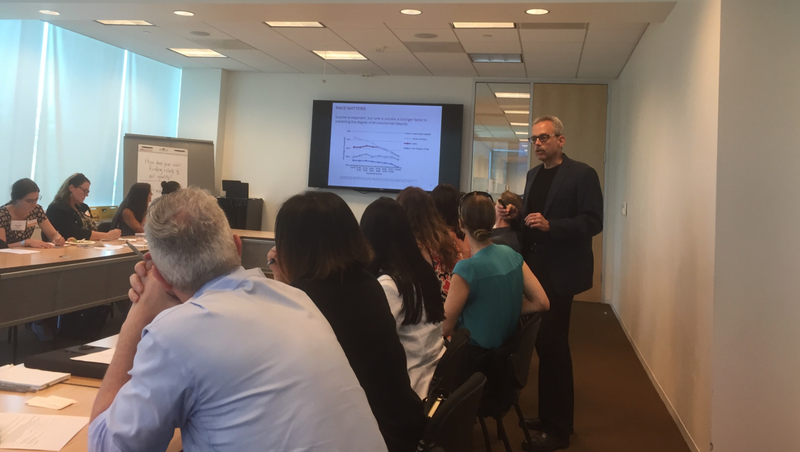 Los Angeles County Department of Public Health: I’m led a year-long collaborative training program that provided customized technical assistance to 18 DPH teams involved in various collaborations around Los Angeles County. I’m currently working on a follow up project using the Collective Impact model. 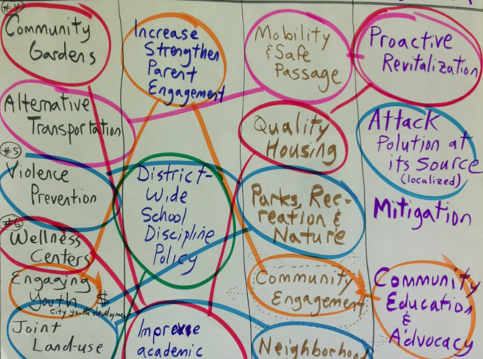 Los Angeles Food Policy Council: Working in partnership with my Affiliate Sara Daleiden, we supported a seven-month, strategic framework process to set future direction for this dynamic collective impact initiative in Los Angeles. Before that, I also facilitated one of their staff retreats. Los Angeles Promise Zone: I supported the leadership and larger partnership of this collaborative over the course of a year, facilitating meetings with the intention to strengthen the collaborative leadership of participants. The LA Promise Zone is a multi-year initiative with around 100 participating organizations working to improve economic, educational, community safety and livability options. Building Healthy Communities Long Beach: I served as a facilitator for this collaborative change effort funded by the California Endowment. This has included helping design the overall community plan update process and facilitating numerous work group meetings comprised of stakeholders from different organizations. 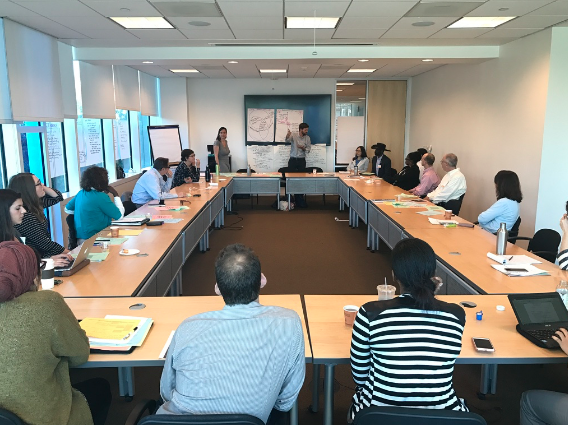 North East Los Angeles Riverfront Collaborative: I planned and facilitated an engaging retreat for stakeholders of this collaborative, comprised of government agencies, nonprofits, academic institutions and businesses. I interviewed lead partners prior to their retreat and developed an engaging agenda to build stronger relationships and enhance communication. Little Green Fingers: I facilitated two engaging retreats for this collaborative working to construct eight new community gardens designed for children ages 0 to 5. LA County Active Transportation Alliance: I planned and facilitated a two-day planning retreat to help this initiative move forward: developing three-year goals and a detailed one-year work plan. We used a variety of interactive process tools including post-it notes, group interviews and walking meetings. San Gabriel Mountains Forever: Partnering with one of my Affiliates, Jill Sourial, we facilitated a strategy planning meeting for this coalition of local and national organization engaging a broader set of stakeholders to preserve and protect the San Gabriel Mountains. We mapped out a strategy and clarified roles for moving forward. The Impact Project: I facilitated a one-day planning retreat for this coalition of environmental and academic institutions focused on collaborating to improve health conditions in communities impacted by pollution. The retreat gave participants the opportunity to set the collaborative’s priorities and discuss operational issues in order to grow for maximum impact. Coalition for Environmental Health and Justice: I facilitated a portion of a retreat to decide campaign strategy and fundraising for this coalition of environmental justice organizations working for healthy alternatives to a widened 710 freeway. Green LA Coalition: I conducted an organizational assessment and facilitated a strategic visioning process that included two-day long retreats for this coalition of environmental and environmental justice organizations. I also facilitated a one-day retreat to help them develop a new campaign strategy. TEDxSoCal: I facilitated several early meetings for this collaboration between local leaders from different organizations in Long Beach to create this engaging event. ARC/Star Retreat: I facilitated a retreat with two separate, but related organizations simultaneously to work on a common set of issues. Several break out session had members from different organizations, which added new view points to the discussion. Bicicultures: I collaborated with Adonia Lugo to create an event that brought together different leaders from the bicycle advocacy movement to reflect on the growth of the movement. Together, we weaved together an engaging, interactive story of a growing movement making an impact on Los Angeles. Eric Garcetti for Mayor Campaign: I planned and facilitated five “salons” for the Eric Garcetti for Mayor campaign in 2012 that each engaged 15-30 leaders from different organizations to generate ideas related to economic development, education, water with a focus on the LA River, energy and transportation. Arroyo SECO Network of Time Banks: I facilitated a retreat comprised of multiple representatives from local Time Banks. 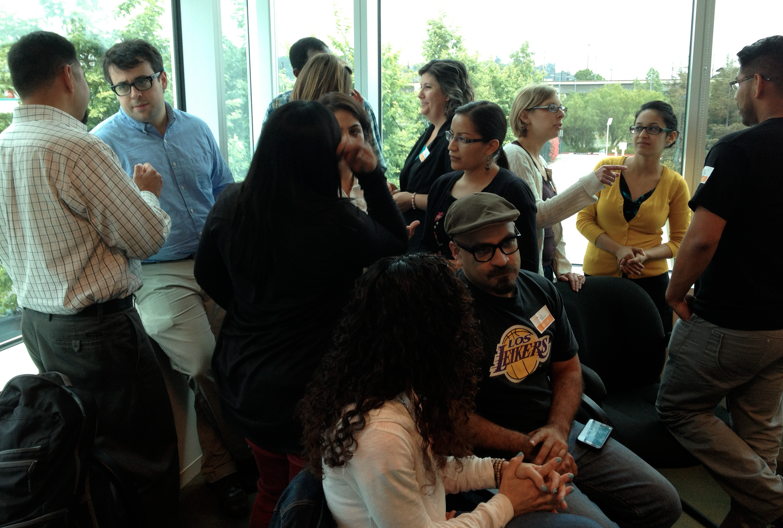 Alliance for Biking and Walking: I helped facilitate a large group discussion at one of their leadership retreats, comprised of 100+ participants from 50+ organizations. 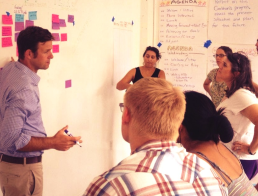 Alta Consulting: I facilitated a multi-agency meeting as part of the Parks to Playa planning process. Center for Spatial and Textual Analysis: I facilitated a project planning retreat that included a collaboration of various individual academic researchers. City of Seal Beach: I facilitated eight community meetings attended by a broad cross section of community stakeholders concerned about a polluting gas station. Trainings I led for Enterprise Community Foundation, Center for Nonprofit Management, Flintridge Foundation, Alliance for Biking and Walking, Liberty Hill Foundation, Enterprise Community Partners, Leadership Southern California, Leadership Los Angeles, Leadership Long Beach, Los Angeles County Arts Commission, Long Beach Boys and Girls Club are all included representatives from multiple organizations. 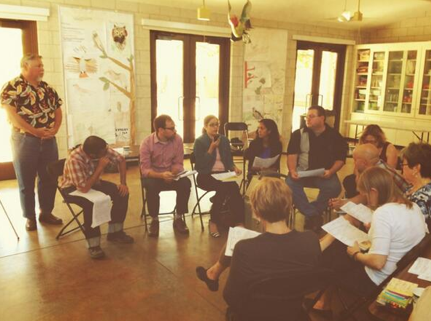 LA Voice: I have facilitated multiple retreats for this interfaith coalition working for change. 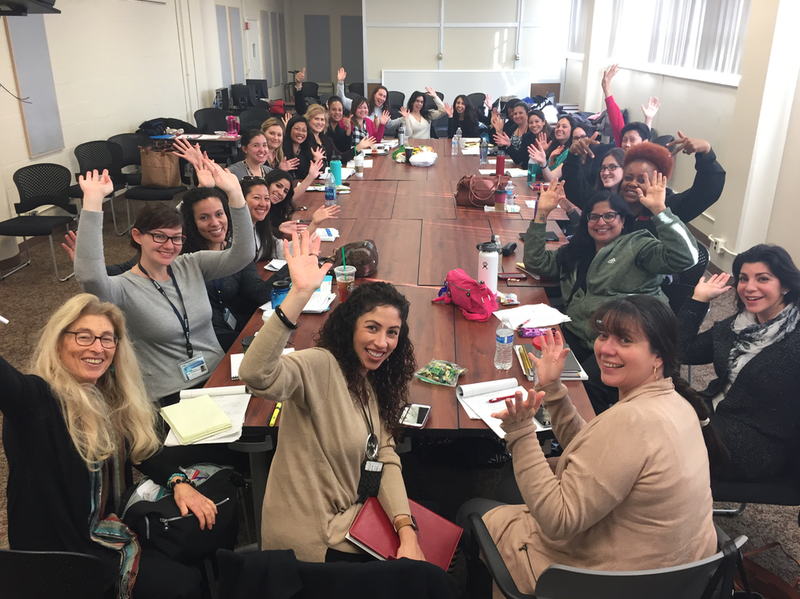 Museum Educators of Southern California: I facilitated a planning process for this organization comprised of educators from a broad spectrum of museums. 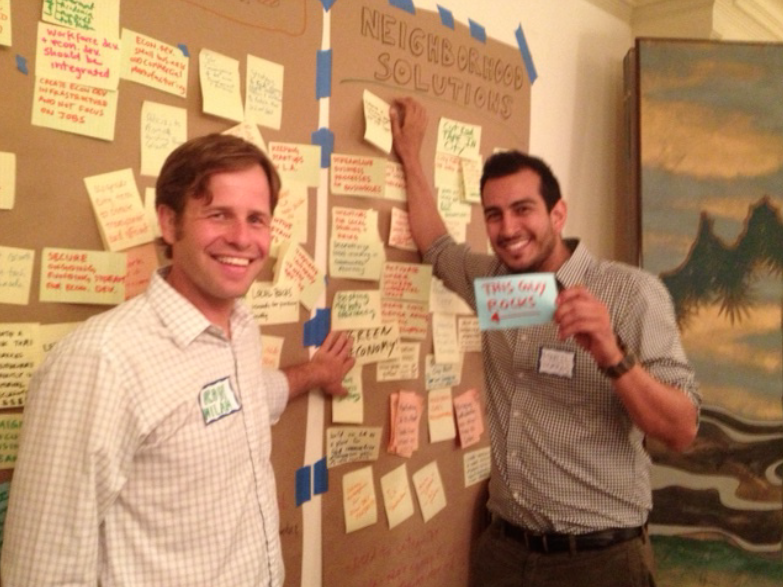 Ryan Snyder Associates: I facilitated a multi-agency meeting to discuss a draft version of the Livable Streets Manual. Southern California Association of Nonprofit Housing: I facilitated a meeting comprised of board members, each who represented a different organization. 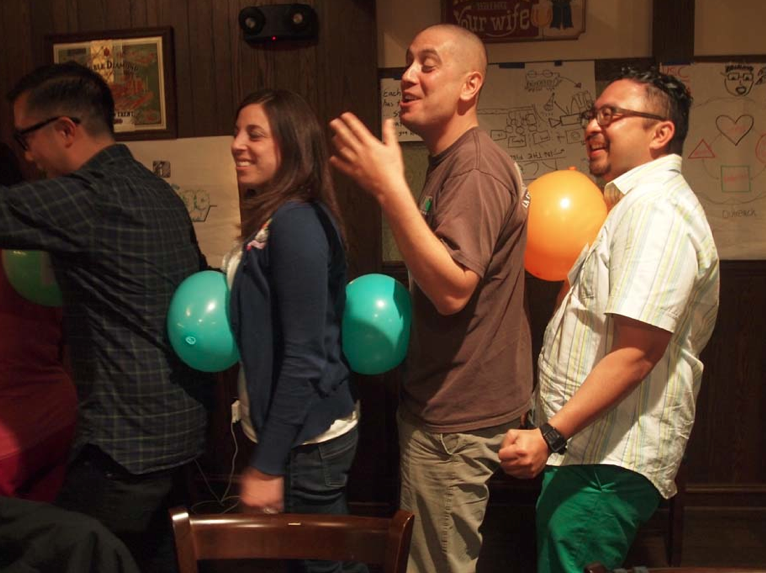 s(o)ul: We collaborated on the development of walking tours during CicLAvia. Urban and Environment Policy Institute: I facilitated some meetings comprised of different bicycle related organizations to help plan the first Bike Summit. 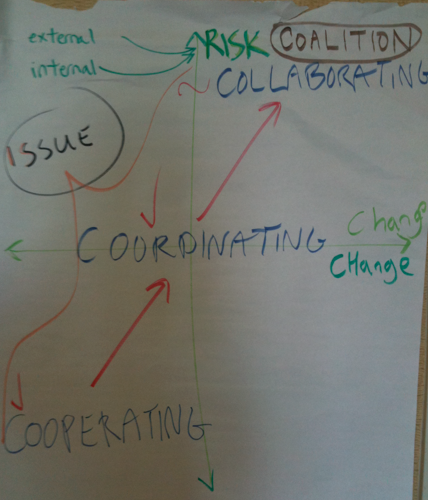 Needless to say, I really enjoy serving collaborative change efforts! While there is a greater level of complexity and messiness involved with coordination multiple organizations, there is greater potential for impacting positive change on a larger, more sustainable scale. If you know of any collaborative change initiatives that need support, please let me know. Thanks. This entry was posted in Collaboration, My Clients and tagged Clients, Collaboration, Community, Facilitation, Leadership, Retreats, Sustainability, Team Building. Bookmark the permalink.